Around ten years ago, I read Tom Brokaw’s book “The Greatest Generation” about the stories and lives of the men and women who served in World War II. It was a captivating book. What really struck me about the book was the wives and families that were left behind here in America and how long one might have to wait to receive a letter. Soldiers and families were separated by thousands of miles and a huge ocean- as well as no real stable way to communicate- and families waiting weeks or months for an update- which would have been obsolete by the time it arrived. Fast forward to about 2003 or 2004 when I was sitting at my desk in my office in Milford. Instant Messenger was all the rage with the cool kids- so I had it on my screen as a way to keep up with my students and friends who were using it. Instant Messenger was Facebook before Facebook and even Myspace. While I was sitting in my desk, I got a message from HTCIII. This wasn’t a student, but one of my best childhood friends who had deployed to Iraq with the Navy. Tom, as a flight doctor, was assigned to a squadroned based at an airbase in Iraq. For 20 or 30 minutes, we chatted in real time half-way across the world from each other. In 2004, Andrea and I traveled to Paraguay to work with our missionary friends Andy and Lizette Bowen. Technology was different and they were much more isolated. Andy and Lizette had email, instant messenger- and now Facebook and Skype to stay connected with their family and friends as well as events going on around the world. I have had conversations on Skype with friends in Guatemala, the Philippines, and Uganda. Our world has become increasingly smaller. At one time you could think of the world as a vast expanse with exotic cultures and traditions- now we must reconsider or reevaluate who is our neighbor. The world has become one big neighborhood where we can interact with and learn from each other even over thousands of miles. Defining our neighbor is no longer about thinking about who lives in our city, town, or neighborhood but realizing our connectedness around the world. The parable of the Good Samaritan is a familiar parable if you grew up in the church, Sunday School or Vacation Bible School. It is a parable about both defining who our neighbor is and how we are called to live neighborly. Jesus, in a very rabbincal fashion, answered a question with a question- asking the lawyer how he read the law…he was, after all, an expert. The lawyer replied “Love The Lord your God with all your heart an with all your soul and with all your strength and with all your mind and love your neighbor as yourself.” This is the center of the Jewish faith, the Shema and in our Christian faith and scriptures considered the Greatest Commandment. Jesus says that all the laws of Moses and the prophets can be summed up in loving God and loving our neighbor. When I was in college and in my required Philosophy course, most of us were trying to keep up with our professor as he taught. I know that I felt like I was over my head. I remember one class where the professor was waxing philosophically about reality and the blue sky and the green grass when a brave student raised his hand to do battle with the professor. Doing his best to hold his own, the student asked “How do we know the sky is blue? How do we know the grass is green.” To which our professor replied, “How do we that you have a brain” as the class erupted in laughter. Jesus tells a parable about a man who is on his way from Jerusalem to Jericho. This is a 15 mile journey that is very treacherous and known to be a haven for robbers and bandits. The man, presumably an Israelite, is accosted by these robbers and bandits who beat him, rob him, strip him, and leave him for dead. In verse 31, Jesus says that a priest “happened” along the way. Those listening would have heard this a reference to providence that at just the greatest time of need for the dying man, God has sent someone to help. Jesus says that when the priest saw the man laying in the ditch dying- he went on the other side of the road and passed on by. An important note, a priest would be considered unclean for 7 days for touching a corpse- which would mean he would be able to participate in leading worship at the temple. In verse 32- a Levite came along and when he saw the man laying in the ditch he went to the other side of the road and passed the dying man by. While there were many ways one could become ceremonially unclean- touching a corpse was considered the worst. Pharisees, who made rules on top of rules, believe that if your shadow touched a corpse that you were unclean. To each of these Israelites, fellow Jews, maintaining ceremonial cleanliness was more important than the messy work of responding to real human need. If you notice in the passage- the priest was “going down.” Many interpreters have commented that he would have been going down from Jerusalem (Higher elevation) to Jericho. Which means his priestly duties were over. Which means that helping the man would not prevented him from serving in the temple- because he already had. The person who was to reflect the very character of God passes by the man in need. In Verse 33, Jesus drops a bombshell. He says, “But a Samaritan, as he traveled came where the man was; and when he saw him, he took pity on him.” The Samaritan gathered the man up, bandaged him, cleaned out his wounds and put him on his donkey. There he took the man to a local inn and took care of him overnight. The next day, the Samaritan told the innkeeper to look after the injured man and that he would come back and pay whatever expense was owed for his care. The Samaritan did not put a cap on his care. He did not say to kick him out after three days- but that he would pay whatever expense was owed. This parable- for the first century Jew listening to Jesus or reading Luke’s Gospel would find this absolutely scandalous and unlikely. In our culture, the Samaritan is a hero. They are someone who does exactly as the man in the story. But in the first century culture- a Samaritan was considered sub-human and a good Israelite would have no interaction with a Samaritan. In fact, those listening to Jesus teach would likely think that it was Samaritans that would have beaten and robbed the man rather than one who helped. Samaritans were despised and hated by Jews. The expert in the law replied, “The one who had mercy on him.” Notice that the lawyer cannot even bring himself to say “the samaritan.” He cannot stomach the thought of the Samaritan being the example of right living. Jesus’ command is for those who love God is to love their neighbor regardless of race, creed, or ethnicity. We are to show compassion on those who are hurting and suffering. Throughout this week, I’ve been wondering how Jesus would tell the parable if he were in Dover, Delaware. I’ve been wondering what he would say to us about how to be neighborly by living out our love for God by loving our neighbor. This is a scene that gets played out in various ways in our community and communities around the world every single day. Maybe it is not a shooting. Maybe it is someone having financial distress. Perhaps it is a husband and wife whose marriage is falling apart. We come across people who are beaten down, broken, and dying (both literally and figuratively) and we must ask ourselves whether or not we are living out the Great Commandment- Loving God and loving our neighbor. The Samaritan, when he saw the man lying on the side of the road had to make a decision. Did he want to stop his trip? Were there robbers and bandits still around? While the man was stripped- he may have had some indication that he was a Jew- an enemy. Was it worth stopping for someone who hated me? There was risk involved in stopping to tend to the man lying in the ditch. But the Samaritan feeling of compassion was greater than the risk involved. He felt more than pity for the man- he made a commitment to get involved and help the man. The Samaritan’s compassion was greater than any fear he may have had. 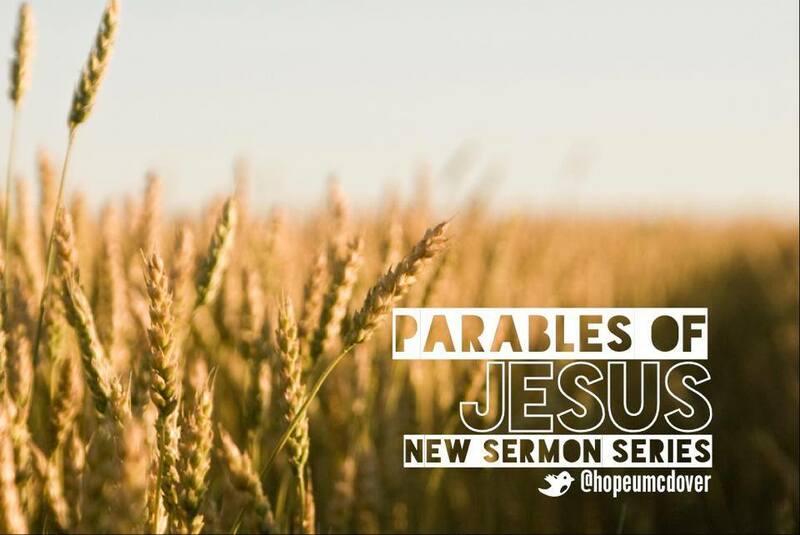 There are several lessons that we can learn from the parable that are related. Our religion, faith, social class should not keep us from helping someone in need. The priest and the levite teach us that our religion or social class does not excuse us from loving our neighbor- whoever our neighbor may be. Which in the context of the parable can be anyone we are in contact with. Our neighbor may be the person that lives beside us, or it may be someone half way around the world. Our identification with Jesus Christ as our Lord and Savior is never a reason or justification to keeping the love of God to ourselves. Our faith, our religion should not prevent us from helping others. The religion, ethnicity, or social class of the person in need should not prevent us from showing God’s love. The Samaritan teaches us that we are to show compassion and mercy on those in dire need regardless of religious or ethnic barriers. If the priest and the levite teach us that our faith should not prevent us from helping- the Samaritan teaches us that we should not allow another persons faith or ethnicity to keep us from showing love. In the Kirkwood example above- would we be more likely to stop if the person had the same skin color as us or different? How about if they were of Middle Eastern descent? Wore a turban? Spoke only their spanish or Hindi? If we are to love God- then we must be like the Samaritan who did not allow religion or ethnicity to keep him from showing compassion. Finally, the man in the ditch teaches us that even our “enemy” is a neighbor. Certainly, as a Jewish man he would have had little to no dealings with a Samaritan. But sure enough, it was not his fellow Jew who stopped to help- but it was his “enemy.” The Jewish man did not refuse the help of the Samaritan because he was in need- he needed someone to come along side of him so that he could live. When we refuse to label people as enemies- we are able to see them as brothers and sisters. In the lesson- Jesus affirms what is needed for eternal life with God. We receive eternal life when we love God with every part of our being and we love our neighbor as ourself. The lawyer wanted Jesus to affirm that our neighbor is someone life ourselves; perhaps someone of our own ethnicity, religion, or race. The lawyer wanted to know how small his neighborhood really was. Jesus turned his question on its head and showed the lawyer how big the neighborhood is. We are to have compassion on anyone we come in contact with for they are our neighbor. This past week at Wesley College was the annual poster sale. If you had the opportunity to go to college- you likely remember the poster sale. You might buy Ansel Adams prints to hang on your wall or the album cover from your favorite band. I remember my Freshman year of college that I bought three poster- each with the artwork of the original Star Wars Trilogy. One of the offerings at a poster sale is the print of Dutch painter Vincent Van Gogh’s “Starry Night.” Van Gogh was raised in a Christian home and sadly through much of it away in his early adult life as he slipped into destructive habits. Thankfully Van Gogh began to re-embrace his Christian roots and this spiritual awakening is evident in some of his paintings. Like the Church in Van Gogh’s starry night- the priest and the levite were to be “yellow” with hope when it came to embodying the love of God to our neighbors. But they walked on by- and if Van Gogh were painting them he might paint them dark and colorless. Our lives are to shine vibrantly with the mercy and love of God. If our lives were a Van Gogh painting- would the Master Artist paint us filled with yellow? His color of the hope of God? Are we sharing that hope, that compassion, that love with our neighbor? Are we willing to risk to help those who are in the greatest of need? This week I want to challenge you to look for and pray for the opportunities to show your love for God by loving your neighbor. It’s a Code Yellow week- a week to show compassion and love to the world. Our lives, our actions, our words are a letter from Christ- written on our hearts by the Holy Spirit to the world. For some, we are the only interaction with the love of God a person will have. This week and in the days to come- rather than trying to shrink our neighborhood, let us see how large God’s neighborhood is and shine the light of Christ wherever we go. This entry was posted in Sermons and tagged Good Samaritan, Parables. Bookmark the permalink.